Just send me the Url of your site, and the (anchor text) keyword, i will placed your link on homepage site for permanent. All related to flying Travel site, service or product received. 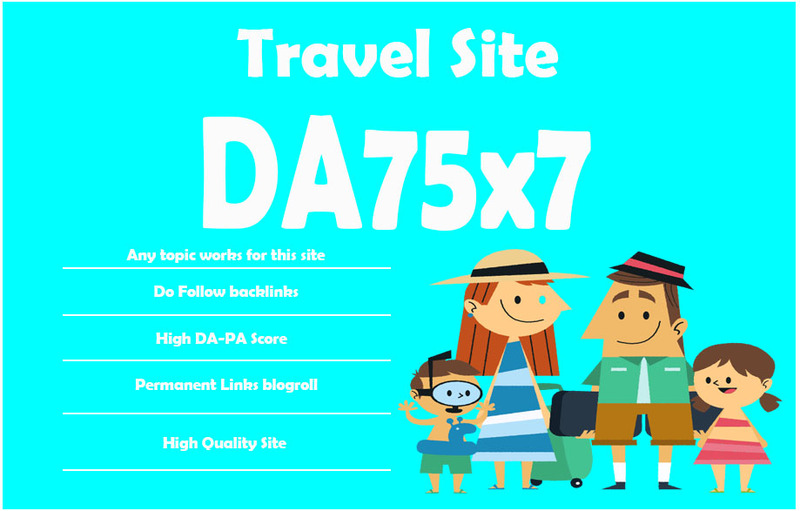 Give Link Da75x7 HQ Site Travel Blogroll Permanent is ranked 5 out of 5. Based on 2 user reviews.